Carlene’s quick weight loss tips could make the difference between those who come to camp and succeed with quick weight loss and those that quit? Quick Weight Loss Tips 1: Focus! During your quick weight loss portion of RFBC, you will learn focus. Instead of dwelling on what we give up, we focus on what we are gaining and put our focus on where we want to go. We don’t eat over emotions, or on impulse, or out of boredom or frustration. Instead we use the art of distraction to break the cord between these things and food. We find other things to focus on besides our addiction to food. Our goal is to become food obsession free, so we don’t substitute food, we break the food connection. This takes work and time. So everyone has to have patience with themselves as we work on making new habits and letting the old ones fade away. Focus is without a doubt one of the key traits in successful quick weight loss. Quick Weight Loss Tips 2: Perseverance! It’s easy to quit. That’s what we’ve all done in the past. We are all psyched up for the promise of quick weight loss. We do great our first 3 or 4 weeks and then the old fat brain calls and we say, oh, I’m done with this, quick weight loss is a myth and give up. This happens again around the 3 to 4 month mark. As a team we help you fight this old behavior, because it is just a dieting habit. We don’t look for perfection, we look for perseverance, the art of not quitting! Think about all the diets you’ve done in the past. Had you persevered, you wouldn’t be here reading this! This is one of the things we discuss, encourage, and support at Raw Food Boot Camp. Don’t quit. No journey worth having is a smooth ride. Be willing to fight through those tough times. We’ll be right there with you. Now you might ask, but where does perseverance fit in with quick weight loss. It fits in big. To achieve quick weight loss, you must continue with your plan. If you fall, you must get up. And if you get up quick, and continue through for the weight loss you came for, very quick weight loss is yours. In all the years I’ve done Raw Food Boot Camp®, there have only been a few who were perfect to the program their whole way through. What mattered was their not giving up. So even the imperfect can obtain quick weight loss if they really want it. Quick Weight Loss Tips 3: Commitment! No one who has flipped in and out of RFBC has ever reached those big numbers. If you want to enjoy quickweight loss on our raw food diet, then you need to commit to our program. We are open 7 days a week, 365 days a year. You need to participate with your team, connect with me daily, and hold yourself to the commitment you made in regards to your food and exercise. Again, we know the idea of perfection is more of a stumbling block than success builder, so we ask for perseverance instead. But when you join RFBC, you are committing to your group and yourself to strive for success each and every day, and to not disappear. Quick Weight Loss Tips 4: Honesty! So many prefer to live in denial. They break their plan and beg not to have to log it because they don’t want to see it. We don’t do that at camp. If you eat it, you own it. Good or bad choices, you have to be willing to look at what you have done and examine the choices behind it. We don’t psycho analyze at camp and we don’t try to over think things, but I do expect you to be willing to look back and consider why you chose breaking your program over quick weight loss. Not the deep dark secrets of the past, but the in-the-moment thought process that brought you there. We take those moments and find ways to avert them in the future. Quick Weight Loss Tips 5: Humility! You weren’t expecting that, were you? We are all so afraid of being judged, of not living up to others expectations. So instead of coming to camp and asking for help, people disappear. What good does that do them? None. We ask that when you struggle you come and ask us for support. We have an SOS system where you can send out an SOS and everyone at camp will come running to help. But this system doesn’t work, if you’re too proud to ask. We have high expectations of those that join us. We want you to stick with us, be successful with us, enjoy quick weight loss with us and to eventually trust us. RFBC is a great place with a lot of wonderful men and women. None of us is perfect, not even me, but we struggle together to redefine our lives when it comes to food and our weight, and to break all those old fat brain behaviors so we can step out and claim the life we’ve dreamed of for so long. Quick weight loss plays a role in weight loss for the obese because it keeps us motivated to continue on. But it is not the only thing that matters. You have to be open to change your old fat brain thoughts so that your quick weight loss will turn into permanent weight loss. I love RFBC. We are true peers working together for a lifetime of peace with food. 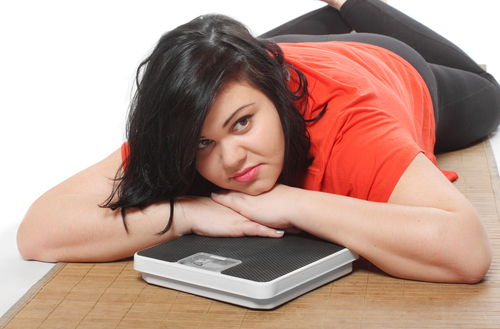 There aren’t many diet programs out there designed specifically for the morbidly obese or give such quick weight loss. We get each other, the good and the bad. We know how tough this is, and are always evolving to ensure each person who is serious about ridding themselves of their fat suit has the opportunity, support, and encouragement to do it. Join our Free Membership Area. Then come join the RFBC Team!